With this piece of equipment, the entire age of the Earth is equated to a 12-hour clock. The six colored sections of the clock are made to match the same number of sections on a small, linear strip that can be bent around the circumference of the circle graph. The circle is eight inches in diameter and it is printed on the front page of a research card. The card contains an essay on the Clock of the Eras for the teacher to read to the students, or for each student to read independently. At the end of the essay, a multiple choice written exercise is available for the students who are ready to test themselves. A second circle graph, exactly the same size as the first one, is also provided separately. This graph is cut out and used by the students in puzzle form. There are six arrow markers that may be matched to the colored sections of the circle graph as well as to the linear strip that matches in length the circumference of the clock. The printed notes of this Montessori presentation from our CME Teacher Preparation Course are available for purchase from this webpage. 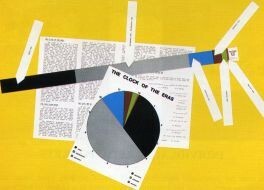 Please search for: Clock of Geological Eras.